Russia's hybrid military forces attacked Ukrainian army positions in Donbas 16 times in the past 24 hours, with four Ukrainian soldiers reported as wounded in action (WIA), according to the press service of the Anti-Terrorist Operation (ATO) Headquarters. In particular, the militants used 120mm and 82mm mortars six times, firing over 70 mortar rounds and 20 tank shells at Ukrainian strongholds. At the end of the day, the enemy's fire activity shifted from the Donetsk direction to the Mariupol sector. Read alsoBelarussian citizen sentenced to two-year home confinement for fighting in Donbas"After 18:00, the militants opened fire on Ukrainian troops near the village of Vodiane twice, using grenade launchers and a mortar. As a result of the shelling, one our soldier was wounded. Another our defender was injured amid fire confrontation on the outskirts of Berezove about 19:00 local time. At the end of the day, the invaders used large-caliber machine guns several times near the villages of Pavlopil and Talakivka," the ATO HQ said on Facebook on Saturday morning. 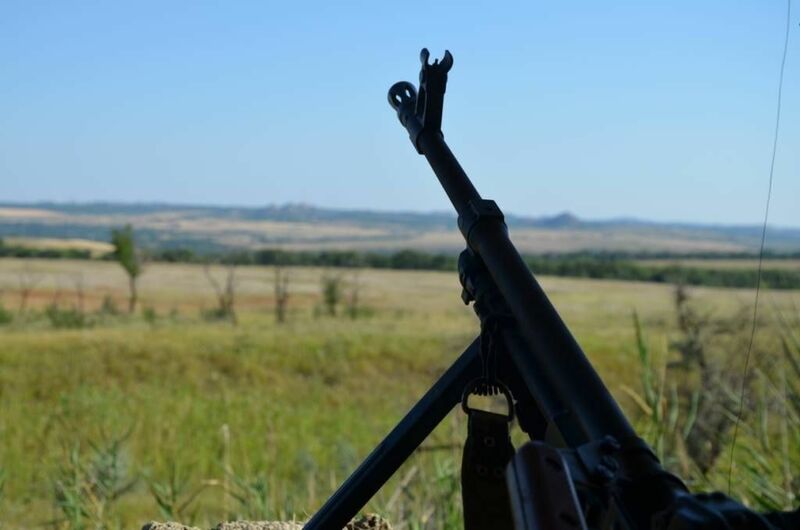 "In the Luhansk sector, the militants fired eight 82mm mortar rounds and an anti-tank grenade launcher at our strong points near the village of Novotoshkovske around 20:00. Ukrainian soldiers returned fire, forcing the enemy to observe the ceasefire. As a result of the confrontation, another Ukrainian soldier was wounded," the report said. In the Donetsk sector, the Russia-backed militants observed the ceasefire in the evening hours and overnight, after the morning attacks.